This is my second one. I wore the first one out. I use it when shopping so I don't have to carry a purse. I bought one of these for my wife's birthday last year, and she liked it so much she wanted it again for her birthday this year so I got her another one. The window in the front fits both my drivers license and military ID. Below my license in the window, I also I can slip my certification and my first aid card. All for easy access. Inside the smaller pocket, I can fit coins, quite a few of them, and I just fold the dollars in any currency in half - so far up to ten various bills. The colors are limited for these type of Buxton wallets - they produce black, gray (which is really like a silver), and purple. If you have a small purse, or you just want a compact wallet, this Buxton is a very good buy. It helps to prevent theft of your credit card information by scanning from others. My hair dresser complimented my Buxton wallet, saying that she wants a small one, and I will buy her one and give it to her as a tip! Yes, I would recommend this product to a friend. I love the roominess and the quality. Very roomy for a wallet, color was spot on!! Really soft, love it!! My husband loves the Buxton RFID.. Great buy.. I mentioned above my husband loves the wallet..
Great color not too bold. Great for use alone or in my purse. I love the capacity of this wallet, ease of access, and the security. I needed a new wallet- But I needed one with lots of slots for cards, A place for bills and coins, basically a good nice looking wallet. I got it all with this handy wallet! It's PURPLE, too! Great! I also like that my credit cards are protected. Now I can feel comfortable when I go shopping. Love it! Why did I wait so long to order! Wish it was leather, but I love it. Wish it could last forever. Love all the pockets for cards. Easy to get cards out, in. 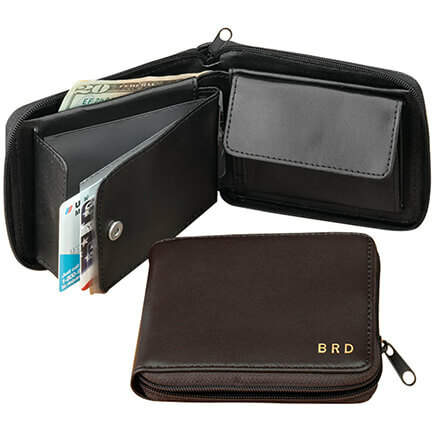 I have been looking for a smaller billfold that will allow me to carry necessary credit cards that are safe from thieves getting my information. I would purchase again but would like it in red! I love the fact that my license is on the outside. It really makes organization of credit cards easy. I do need the slots ir at least 2 slots to hold medical cards and they need to be larger. Loved my new wallet! Thanks you guys! Have purchased this wallet before and enjoy using it. Have purchased this wallet twice and enjoy using it very much. As long as it is being sold I would continue to purchase it. Wish they had it in the color Black. Would recommend this wallet highly. Got one for myself and one for my daughter. Holds alot of cards. Good quality. This wallet is a real treasure. It is a beautiful subtle metallic plum color and has tons of room for debit and credit cards. It has a smaller amount of room for bills and coins, but I make purchases almost exclusively with my debit card, so this totally works for me. The card and cash compartments open separately, and each compartment has a zipper closure to keep the wallet really neat and compact. 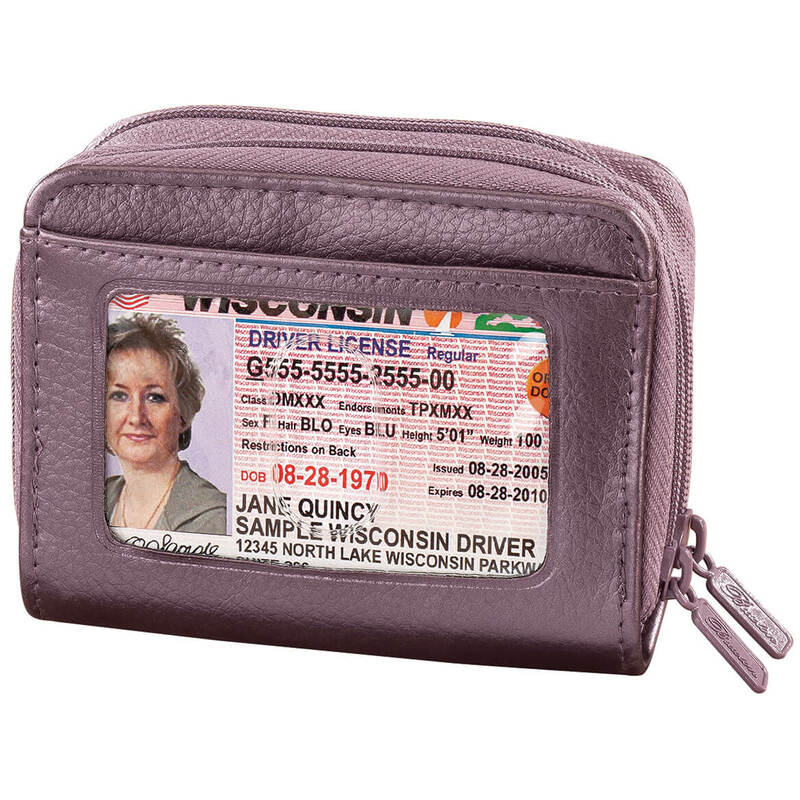 There is an outside clear pocket for your license - very convenient. And an excellent surprise was the RFID protection, which is an excellent feature. I am totally happy with this purchase. I love all the organization it provides! I use this all the time could not be without it. Do not have anything negative to say about this product. I am very satisfied with this product, just needs to get it more colors. This wallet is the most practical & functional I have ever used! Your drivers license is clearly visible for I.D. on the outside while all your credit cards are hidden in pockets inside one of the zippered compartments. In the other zippered compartment you can have some quick cash or coins. My problem with regular wallets is that the credit card gets lost too far down in the pocket often & is hard to retrieve. Not with this small Buxton wallet! Credit cards are easily identified and retrievable. I love it & will never use another regular wallet! It's my can have everything I need right there wallet, plus you can just take it if you don't feel like carry a purse. Love it!! Purchased wallet as a gift for my daughter who does not like to carry a purse and she absolutely loves it! I needed a smaller wallet for a smaller purse I bought. I love this color and the number of pockets. It is not good if you are carrying a lot of money as bills need to be folded up; and if you do have a wad of bills,there is little room for change.But it is good for simple daily use. It is also easy to grab and go if you are just running to the mini mart or to get gas. I have been looking for a nice RFID wallet given all the talk around scams etc. I feel assured that the RFID protection is working while I am out and about in the city. I also really love the many clear pockets to hold all of credit and other cards. It is much easier finding what I need quickly in the check out line. No more cramming cards together in the too few pockets of my last wallet. Finally I have always loved Buxton for quality and practical wallets. A great product and so convenient too. This wallet fits great in my smaller purse and it holds all my credit cards and I love the two zippered parts. I also like having a place for my drivers license. The color is perfect too. I can protect my credit card information on all my cards in one place! Handy, easy to carry in my pocketbook. I bought one for myself and one for my daughter and we both are enjoying it. This wallet was just what I wanted. I love having just one wallet to carry everything in (except Dr.'s appointment cards). I carry it with me all the time and love being able to open 1 compartment and seeing all my cards and comes out so easier, no trying to pull out the right card without having all the others come out with it. This wallet is just what I need to hold many cards---not only credit cards---also insurance cards, library cards and business cards, etc. It is attractive, well made, handy and a pleasure to use. And SECURE!! This is such a cute little wallet ! I love the color. The BEST feature of this wallet is the security it offers from scanners! The size is misleading. It's like a clown car- u can put tons in it !! I had been looking at other RFID wallets, but they were big and bulky. I use a lot of cross body bags, and i try to keep them as light as possible. I showed this to my sister and she decided to purchase one too ?? Plan on traveling------had my card compromised twice---don't need it to happen again. 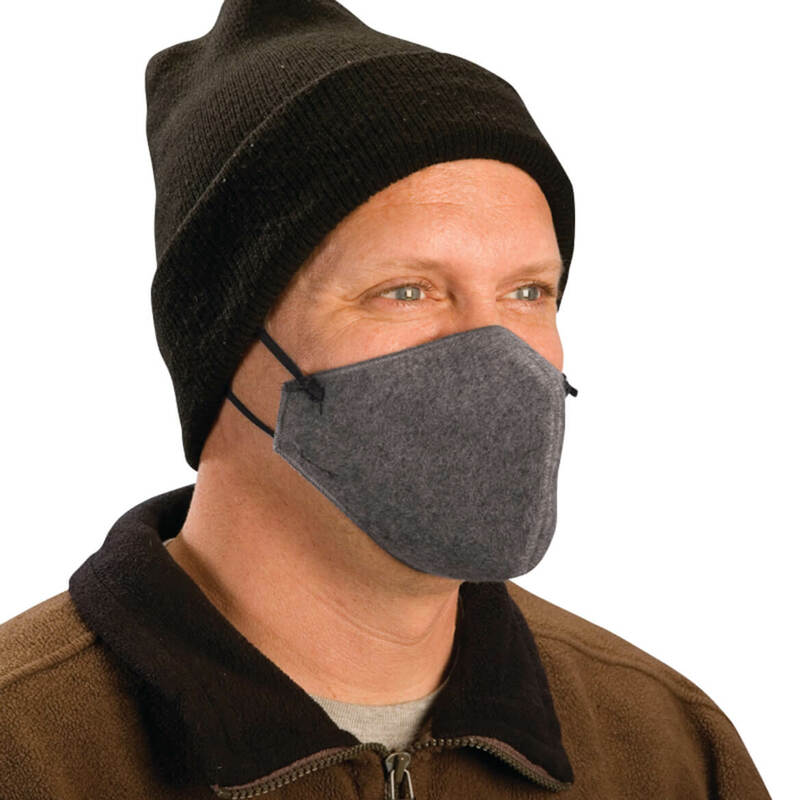 Bought as another way of protecting myself. I find it to be perfect for me.Small---compact, But enough room for essentials. You can't ever be too cautious in the world today. Just what I expected. Helps organize the purse. Perfect size. Easy to open but secure. *I have had this wallet now for many years and it is fabulous!!! *It still looks brand new-not a mark or tear on it. *The color is a true plum color, more blue than red. *The card slots can seem a little snug at times, but that keeps your cards from slipping out. *The coin purse holds a substantial amount and the slip pocket for paper money works great (although you do have to fold it in half). 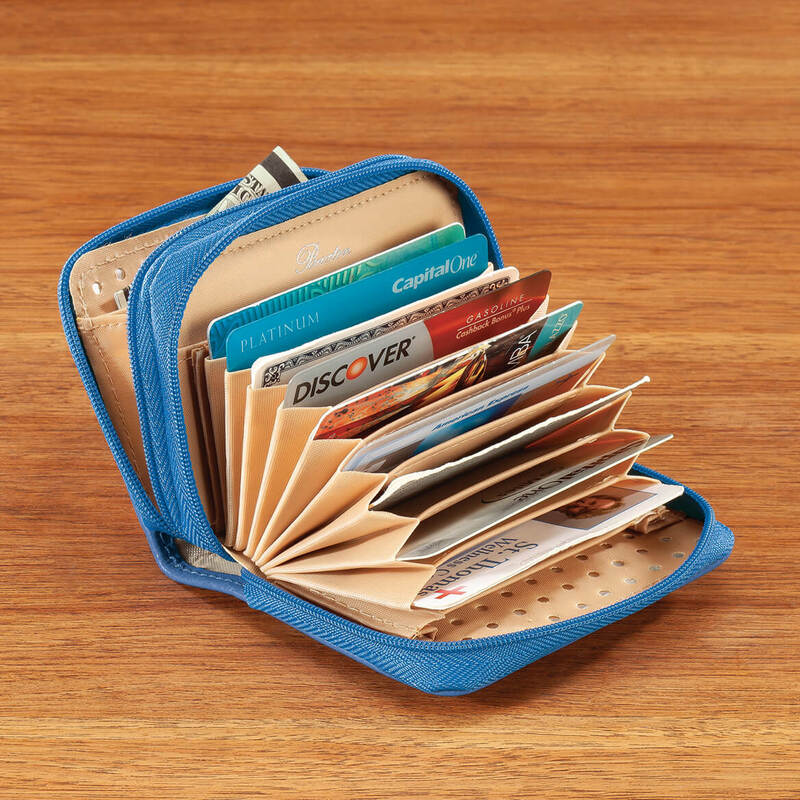 *It has great organization for a little wallet and I cannot recommend it enough. Don't have worry about card scanners now! Keep credit cards safe from being scanned by credit card thieves. It can hold many cards! Did not like the color. I was happy to find this style wallet. I think it is easier to get cards in and out and it has a lot of pockets. It isn't as easy to carry bills but it great for cards and change. It is called purple but I would call it closer to lilac. I wish it was purple. I read the reviews and needed these items. The one that interested me the most was the extended handle for recliners. I have difficulty reaching for the side handle on my recliner. The reviews for this product were very encouraging. Appears that it may be very handy with the "cards", I use often. I have had one just like it for 5 years. 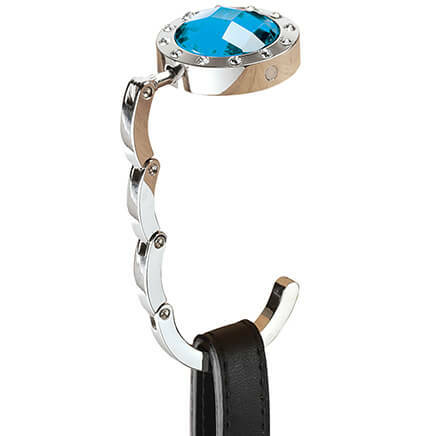 It is small, compact and fits any size purse. I carry the cards that I use on regular basis. I like the visible part for driver's license. All insurance and medical cards fit behind my ID. I had one like this before and could not find in stores. I liked the size and it is RFID protected. because the one I have is tearing up. I have had this style wallet for many years and I find it handy. I value the Buxton name for it's quality. I like the convenience of having my id handy on the outside. I love this wallet. This is my second one. My previous one lasted a number of years. Buxton is a quality name always wanted RFID protection for my cards holds many cards and purple is my fav color! It will fit in my hand and holds more cards Aluminum credit card case. I have one like this and love it. 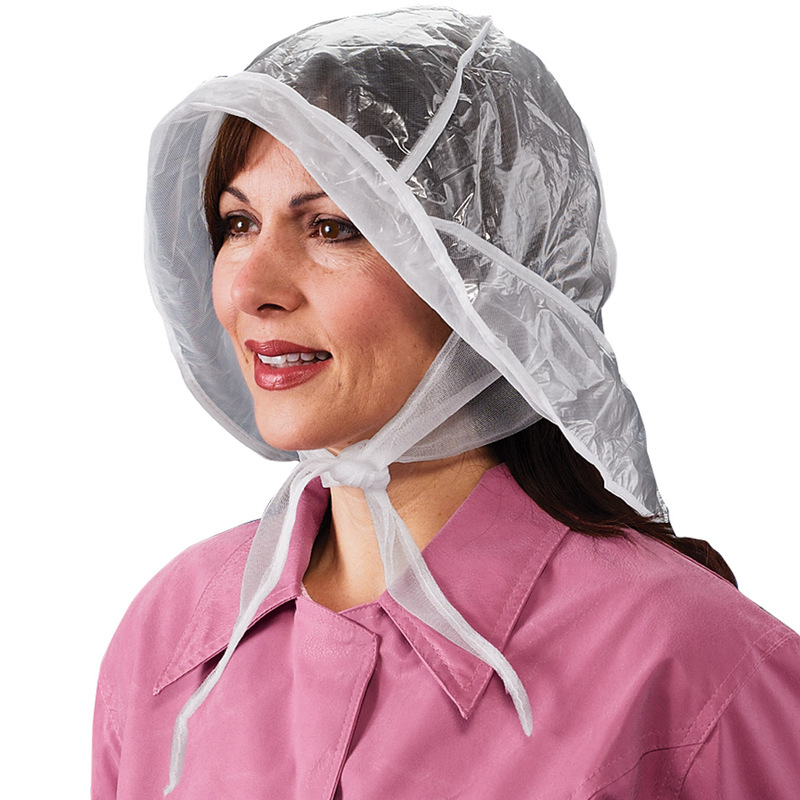 I am buying this for when my other one wears out - just in case it is not available anymore. to hold credit cards, etc. I have one now but it doesn't have a zipper. A zipper will keep all my cards and such in the wallet and not scattered all over. I had a wallet like this & it lasted forever. My wallet is falling apart, so I chose this wallet again. I have needed a new wallet for some time but haven't been able to find just the right one. This one looks like it will hold what I have in the wallet I am using now and gives me more protection from identity theft. I have one of the small cases I have more than the small case is able to hold. Love the smaller wallet size, not one to carry big one. Just the right size. I have had one of these for 15 years & I’ve worn it out. So, it’s time for a new one & this is a great wallet. Plenty of space for cards plus RFID protection. Have received compliments on it. Buxton has a good reputation. It is really handy to keep credit cards and your ID plus another pocket for other cash. I also choose it because of RFID for security. I can hold in palm of hand and it is RFID. My old wallet is disintegrating. Because I own this wallet and received many complements on it. Love it as does the person I am gifting it to. I have had several of these. I love it. I really never write checks, so good by to big wallets. I have used these for years but this will be my first RFID. I've had the metal ones & once I drop them they break. Shouldn't be a problem with this one. Does it hold cash and coins both? BEST ANSWER: Yes it does, but they both need to go into the coin compartment. Therefore, you will need to fold the cash. I had been use to a regular billfold but adjusting to this arrangement was no problem. I love this wallet. It holds everything I need, fits into my purse and protects my credit cards as well. there is a zippered coin section and zippered section for credit cards. I think it would be hard to fit bills in this section. the pockets for the credit cards doesn't seem deep enough to hold bills. I haven't used the wallet yet. Yes, it does. Not exactly like the normal old fashioned billfold. But fold your bills and it works just great. I love mine. 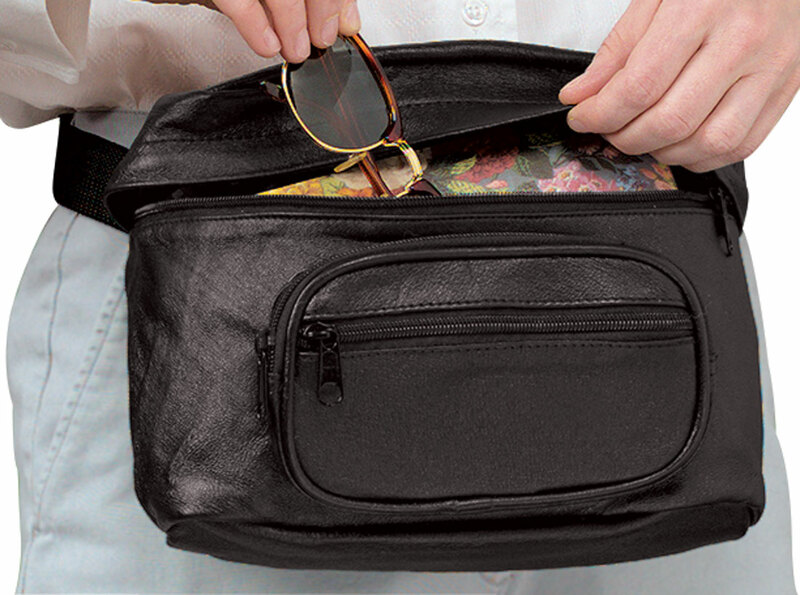 It is small enough to fit in a zippered jacket pocket, therefore no clumsy purse. I put a few coins in the front pocket..then have to fold my bills 3 times to fit in with the coins. Like the wallet for my cards. I have had mine for a couple of years and it looks brand-new. I only use mine for cards...but now that I think of it, it DOES have 2 sides. (I have cards in both) but you could put change and folded up bills in the other side if you wanted to. Yes, it will hold both. However, the bills will have to be folded before they will fit. Yes it can and very well! Are there any more color choice? BEST ANSWER: Thank you for your question. Purple is the only color available at this time. We hope this information will be of help to you. No. Only the metallic purple. Why isn't this wallet available in Black?? BEST ANSWER: Thank you for your question. Unfortunately no this does not come in black. We hope this information will be of help to you. BEST ANSWER: No it cannot. The only way to make it personal is with a Sharpie. Your ID shows through the front window.